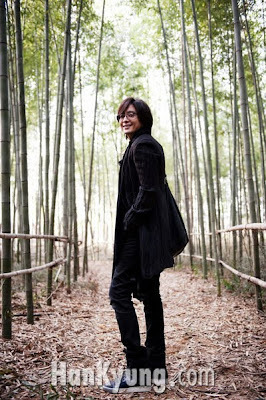 There's a lot of new pix of Yong Joon ! 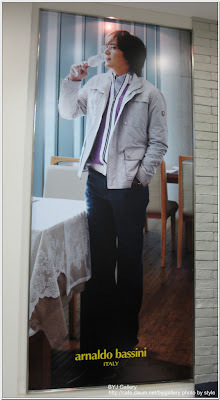 Don't we Baefamily miss him ???!! Greetings on a terrible wintry weekend that forecasts snow of two to twenty four inches. It is like being snowbound in the cabin at the hill in "Winter Sonata". And there is no going down. Thank you for posting this Korean Tourism video. It is the essence of beauty and sublimity, very subtle and subliminal. It makes you want to go to Korea and drink from the same cup of tea with a magic leaf. Please visit my knol on Bae Yong Joon now and then, and feel free to make a comment or answer the survey: just google search junzi by josephine pasricha. I am so happy you had the time to visit my blog. I am hoping the terrible weather there have subsided a bit. I'm in the tropics, but I can imagine your condition now because you mentioned Winter Sonata ! About the magic leaf...the video makes me think about legends and folk tales of old. I've visited your knol on BYJ before, when you shared the link in Jaime's blog. Wow, it is very academic! I hope I can contribute a relevant comment after I've studied your writings. Thank you for sharing your thoughts and writings with us and for greeting me here. Wishing you more brighter days to come.